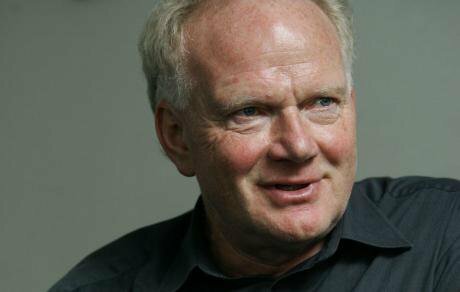 openSecurity editor Robin Wilson reflects on the work of German intellectual - and frequent openDemocracy contributor - Ulrich Beck, who sadly passed away on 1 January. Ulrich Beck (1944-2015). Wikimedia commons. Public domain. Towards the end of the last millennium, an intellectual fad infected the Anglo-American academy, whose ivory towers can be vulnerable to fast-spreading exotica. Against the backdrop of the fall of the Wall in Germany and the cul-de-sac into which French ‘structuralist’ philosophies had fallen, ‘post-modernism’ announced the end of the ‘grand narratives’ of modernity, deriving from the enlightenment tradition and associated with its emancipating doctrines of liberalism and socialism. Everything was now just perspective, its breathless advocates declared, leading to a rudderless relativism lampooned by Francis Wheen in How Mumbo Jumbo Conquered the World. It was an unmindfully contradictory affectation—why should others accept the perspective which this grandest of all narratives represented?—and it could not, and did not, last. Meantime, from the always reflective world of post-war German social thought, a much more persuasive—and useful—body of work was emerging. A key figure was Ulrich Beck, who has tragically just died at the age of 70, his reputation in the English-speaking world assisted by the translation of his works by Polity Press, the Cambridge publisher founded by its greatest sociological son, Anthony Giddens. Like his great compatriot Jürgen Habermas (also translated by Polity), now a ripe old 85, Beck came out of the intellectual tradition of the land of Marx, seared by the Nazi nightmare and generative of the post-war Marxist ‘Frankfurt school’. It’s a tradition of sober rigour and a not-unrealistic ‘pessimism of the intelligence’, as Antonio Gramsci would have put it. What comes after post-modernism? Beck might well have asked with a raised eyebrow, given his rather more profound grasp of the sweep of history. Working with the same raw material, of a society which seemed to have lost its post-war moorings, particularly in western Europe—of steady growth, technological advance, organised labour and so on—he made a more insightful diagnosis. For Beck, if modernity could be understood as a reaction against tradition—in the well-worn counterposition by Tönnies of Gesellschaft (society) and Gemeinschaft (community)—then what he understood as ‘reflexive modernisation’ was the reaction of modernity against itself. And this was the world of ‘side effects’, which provided the title of the book that made him famous: Risk Society (Risikogesellschaft). So, for example, how to explain the huge controversy in Germany over nuclear power and the emergence of the Greens and a wider social movement to challenge it? This was a typical example for Beck of how out of the modern era of industrial capitalism troubling phenomena were developing, engendering new social risks which merely modern mechanisms, such as the welfare states dealing with risk in the labour market, could not adequately assuage. Indeed in this new world the experience of labour itself was being transformed. Gone was the male-breadwinner model of a secure career for men. In came a feminised labour market, in which women sought to juggle work and domestic burdens, with many migrant workers, insecure work and frequent job changes. In Beck's Brave New World of Work, the individual worker was author of their own biography, with much more risk falling on their shoulders—and many ‘side effects’ to fear. None more so than the tsunami of human misery which followed the 2007 collapse, in a deregulated, runaway economy, of the financial behemoth which had grown parasitically upon it—Goldman Sachs was famously characterised in Rolling Stone as a ‘great vampire squid wrapped around the face of humanity’. In that very year, Beck had published the German version of his World Risk Society, addressing how in this globalised context vertiginous challenges, like the threat of climate change, changed the nature of politics on a world scale. So how to cope with this often frightening new world? In his Cosmopolitan Vision, Beck elaborated the concept of ‘cosmopolitanism’ as the appropriate disposition for a progressive, 21st-century politics, where classes could no longer be conceived (if ever they could) as unmediated political actors in an individualised society but where a capacity for empathy among individuals, each (if in each case uniquely) at risk, could engender new solidarities. For Beck, therefore, cosmopolitanism was not ‘the class consciousness of frequent fliers’, as the American thinker Craig Calhoun dismissively harrumphed, but a capacity on the part of the individual, in this world demanding constant self-evaluation, to stand back from him/herself and revalorise the self and other in that context. Abstract? Exactly—that’s why it works across boundaries of nationality and ethnicity in an online world in which space and time are massively compressed. The fastest-growing social movement of recent years, Avaaz, and the way Greenpeace, Amnesty and similar international NGOs nowadays campaign, would be inconceivable without it—as would the very idea of the ’99 per cent’ or of a Pakistani teenage girl winning the Nobel peace prize for her struggle for education. In these times, as Beck accurately put it, politics now devolves into a struggle for control of the state (and transnational institutions) between the NGOs and the corporations. The corporations still have the power—as Gramsci would say, they dominate but are no longer ‘hegemonic’—but the NGOs have the trust. That was a moral the corporate International which convenes every year at the World Economic Forum in Davos had to draw from survey evidence at one of its recent gatherings. And last year it had to focus on the inevitable corollary—that inequality is now the top item on the global political agenda. Marx’s famous internationalist slogan now sounds a bit hackneyed but ‘Cosmopolitans of the World Unite’ has something of a ring about it. Sadly, Ulrich Beck will no longer be around to advise us on how to turn that slogan into reality. But one of his last publications, German Europe, left some salutary advice for Germany and the Europe which as economic powerhouse it now dominates. Beck debunked the old-time religion of the ‘Schwabian housewife’ chancellor, Angela Merkel—the fallacy that every eurozone member could somehow behave in the same beggar-thy-neighbour, ‘competitive’ fashion as Germany without dragging the continent into deflation, sustained debt and unending austerity. And he showed how Europe can only emerge from the crisis if Germany returns to the more modest ‘European Germany’ of the post-war period—recognising the inhuman ‘side effects’ it can have on its neighbours.